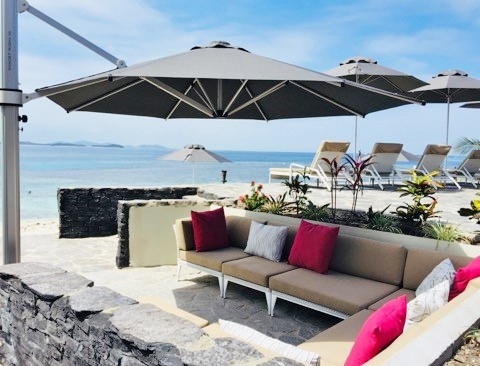 Consolidating Shade7’s presence in Fiji, another tropical resort have recently invested in some high quality outdoor umbrellas from the Auckland based shade specialists. Matamanoa Island Resort is an exotic holiday destination designed for pure relaxation. 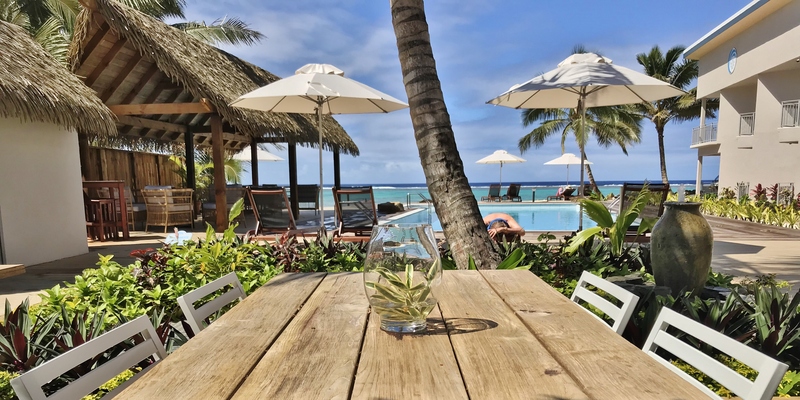 Nestled on Matamanoa Island, this adults only resort is a private and intimate getaway surrounded by lush native bush, sandy beaches and coral reef. On site the guests can enjoy the infinity pool, unique treetop spa or get more active with water and beach sports, tennis and other such activities. 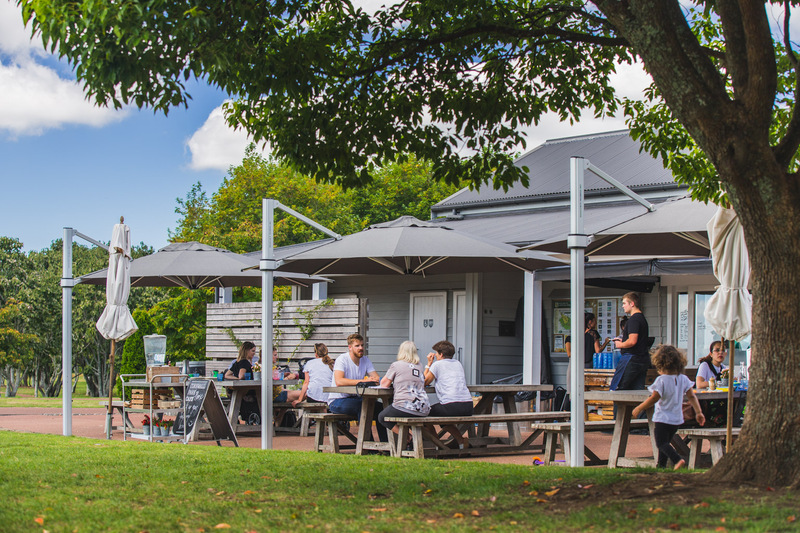 NZ outdoor umbrella specialists, Shade7, were approached to supply the resort with a number of outdoor umbrellas. 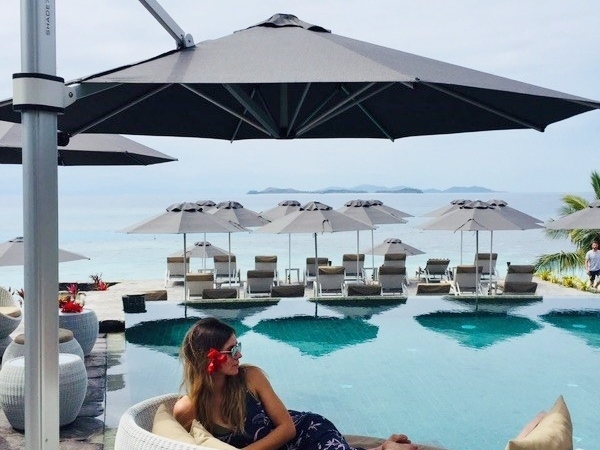 Situated on a small island, it was important for Matamanoa Island Resort to select umbrellas that could handle the salt water spray, rain, wind and, of course, sunshine. 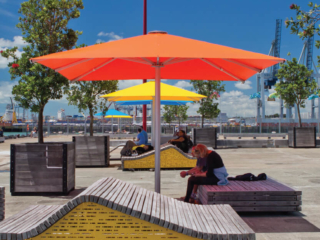 Shade7 have a variety of centre post and cantilever umbrellas, each with their own attributes to suit a specific environment or function. 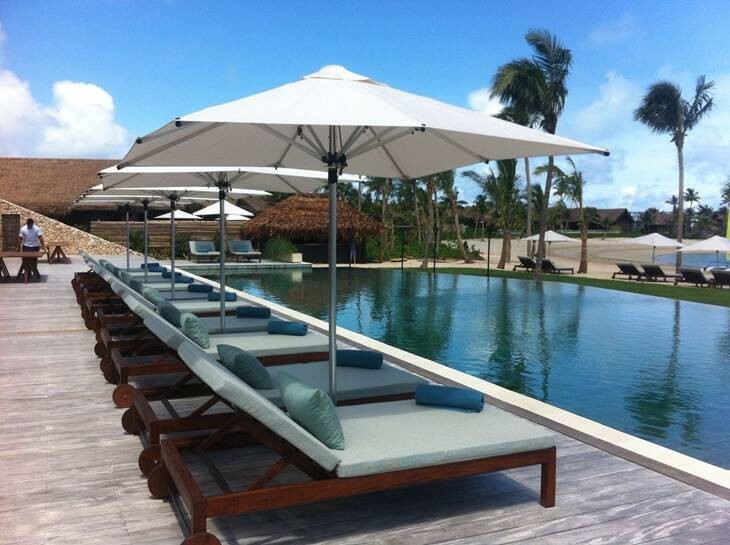 In Matamanoa’s case they required umbrellas to provide shade over their sun loungers and outdoor furniture which surround the infinity pool and beachside area. 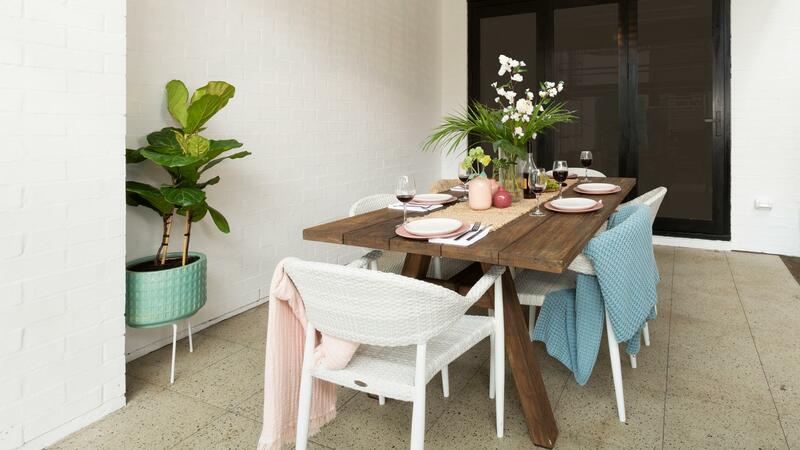 From Shade7’s centre post collection, several Venice sun umbrellas were chosen for this beachside location. 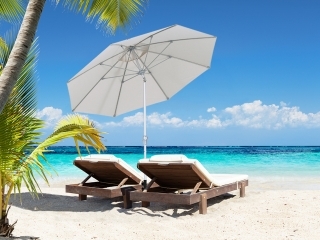 It was critical to invest in a very tough umbrella that has been manufactured for exposed environments such as this beautiful tropical island. These resilient umbrellas have fibreglass arms, which will bend and flex in the wind, just as a fishing rod bends when being tugged on. 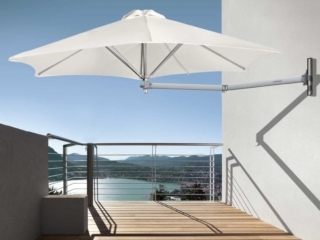 Reinforced with a heavy duty 2.2mm thick anodised aluminium pole, the umbrella is designed to be strong and robust. Taking into account all these factors, the Venice sun umbrellas were the ideal solution for their location. 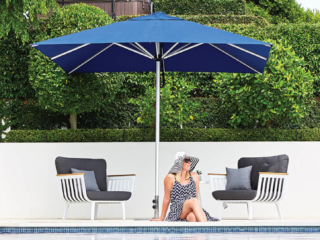 Alongside the centre post umbrellas, two of Shade7’s popular Riviera cantilever umbrellas were also installed in the same pool side area. 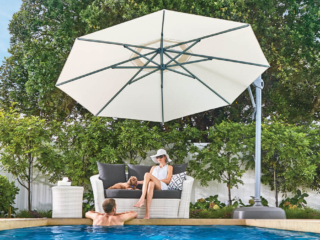 These NZ outdoor umbrellas shade the daybed and outdoor lounge suite without the obstruction of a centre post. 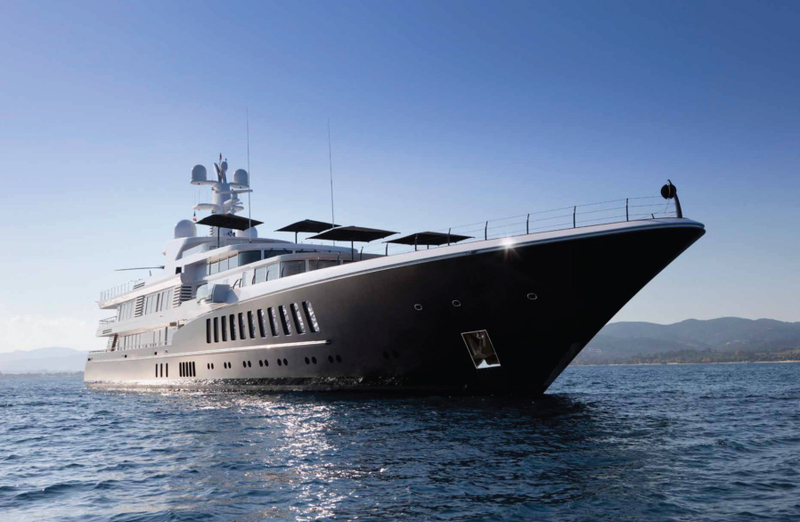 The Riviera was designed and engineered by Shade7, created to be strong, functional and long lasting. 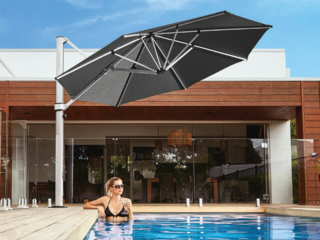 The cantilever umbrella design gives the umbrella the ability to rotate 360 degrees, while simultaneously being tilted. These two capabilities give ultimate flexibility to adjust the shade as the sun changes position throughout the day. Both of the outdoor umbrellas have been constructed with quality durable materials to sustain continual usage outdoors. 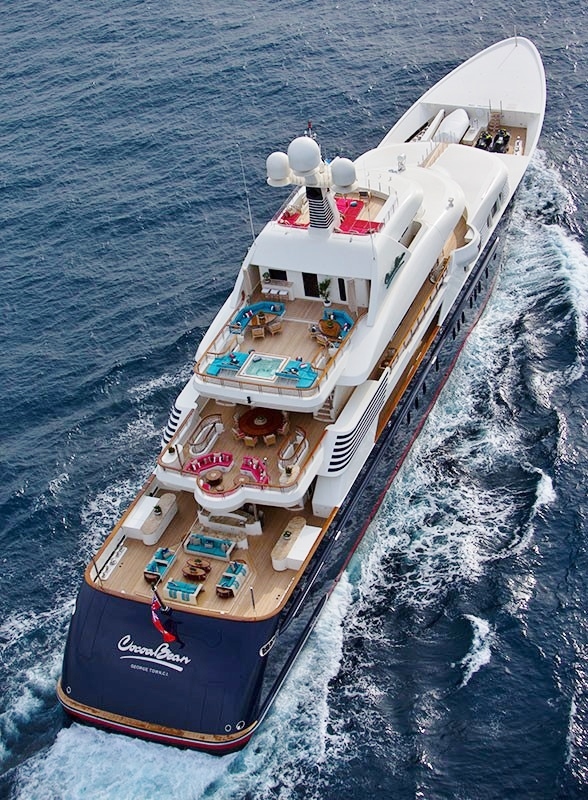 The mast and umbrella arm components have been constructed with marine grade materials, ensuring they won’t rust with the contact of rain. The canopies, available in a wide range of colours and prints, are a premium marine-grade outdoor fabric that is purposed to endure a life outdoors. The fabric is specifically designed to resist fading and subsequently earns the highest colour fastness rating available. In addition, it comes with the highest ultraviolet protection factor rating available, making it the ideal fabric for sun protection of the resort guests. 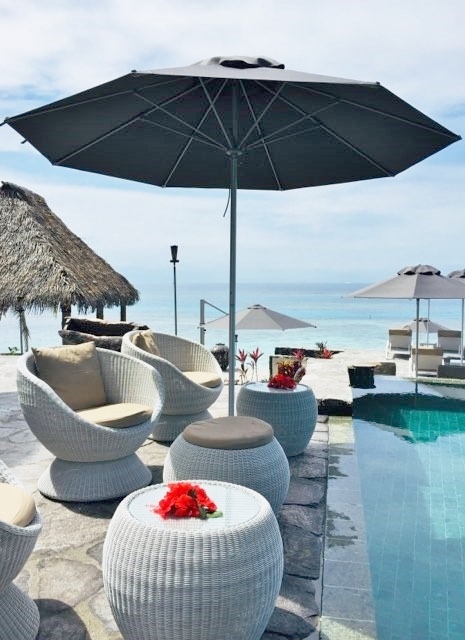 The new outdoor umbrellas installed at Matamanoa Island Resort offer some welcomed shade and style surrounding the infinity pool and beach. 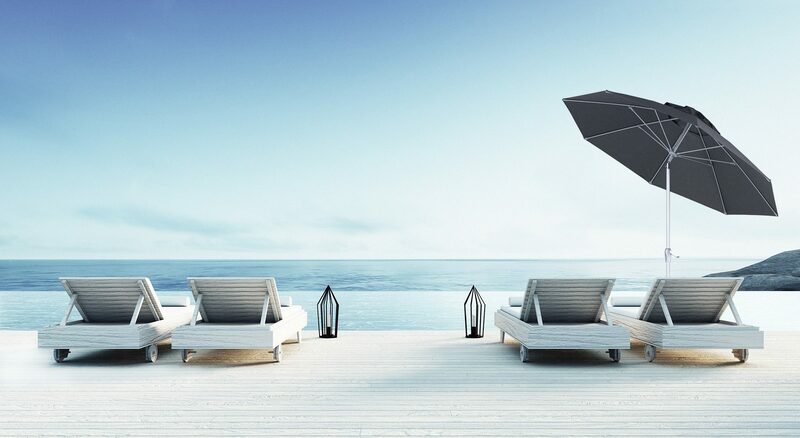 Shade7 are confident the resort will enjoy the longevity of these high quality outdoor umbrellas. 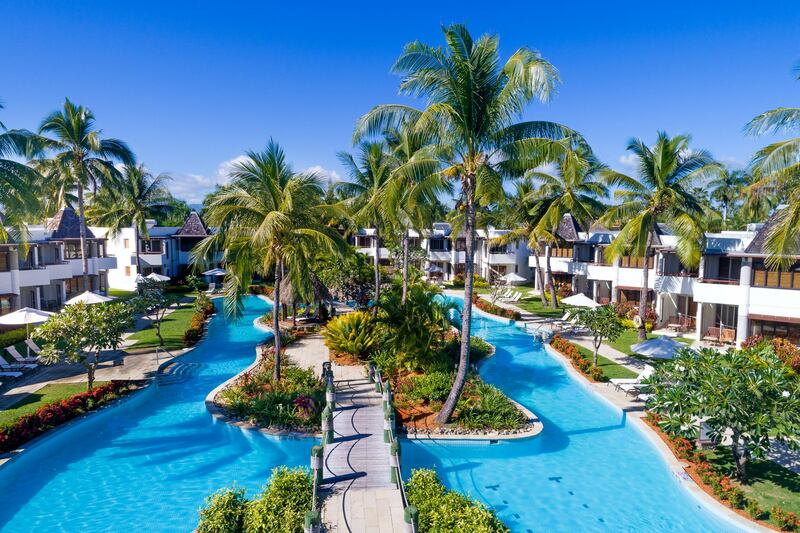 Shade7 continue to work with a variety of beautiful Fijian resorts. 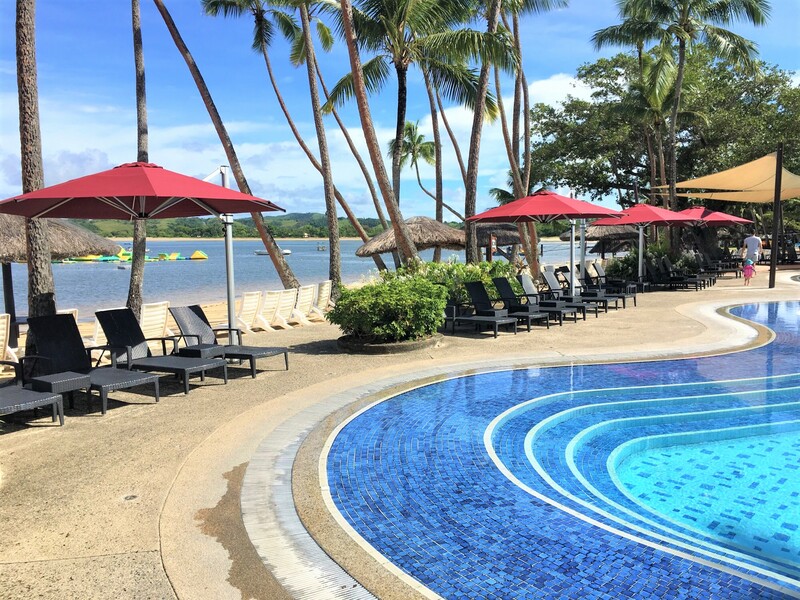 Another resort to install the Venice sun umbrellas is the newly opened Moana Sands Lagoon Resort. To discuss any residential or commercial outdoor umbrella requirements, both in NZ or globally, please contact Shade7 today.